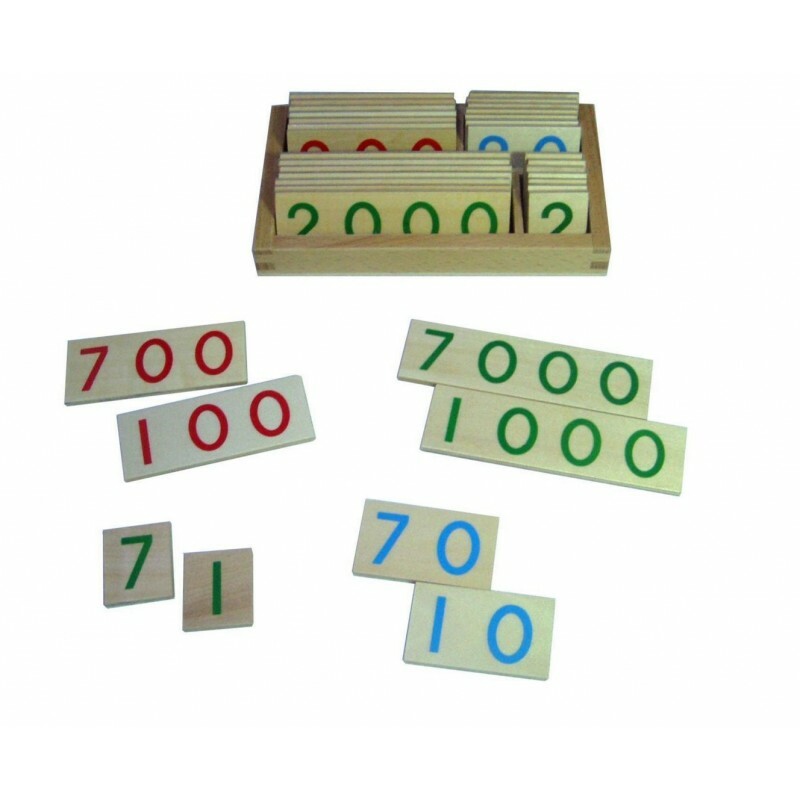 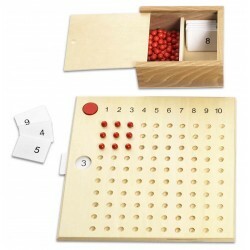 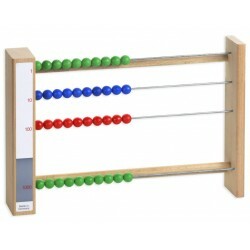 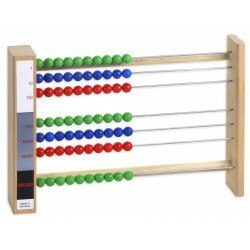 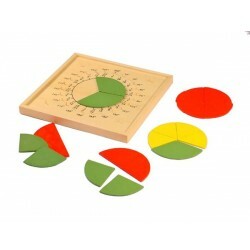 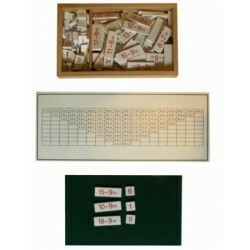 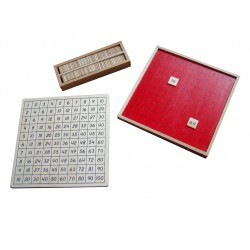 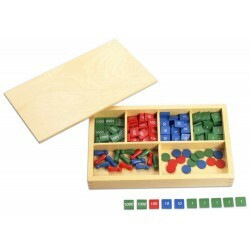 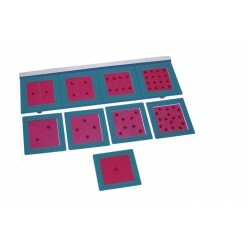 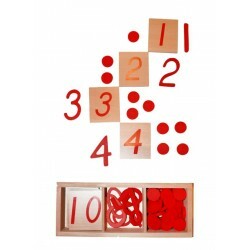 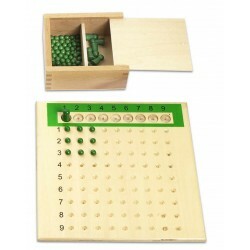 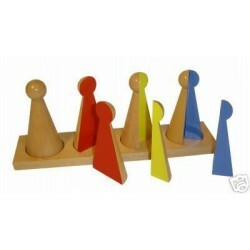 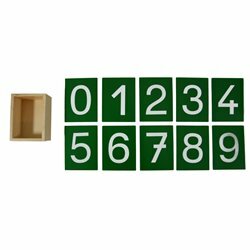 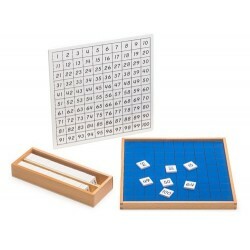 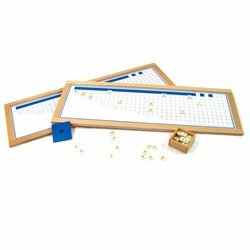 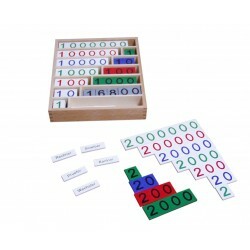 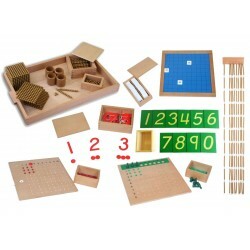 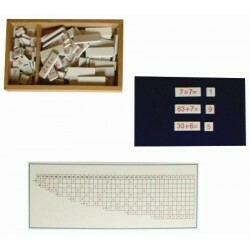 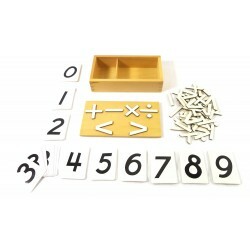 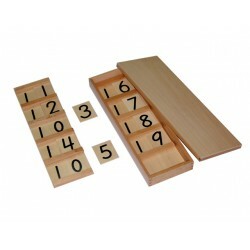 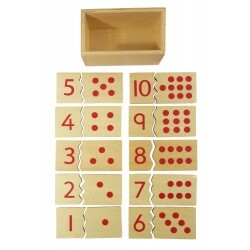 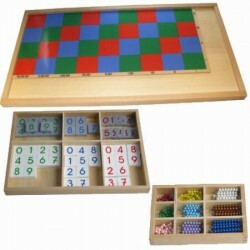 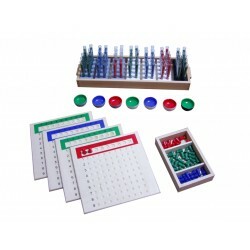 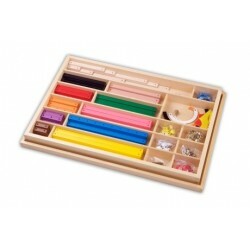 Wooden Number Cards for learning numbers up to 9999. 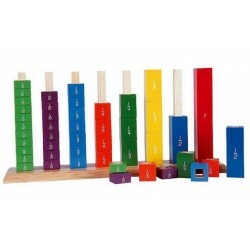 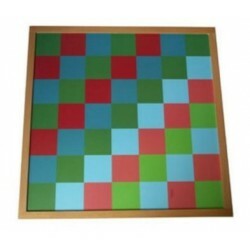 They are colour coded depending on their value and are also different lengths. 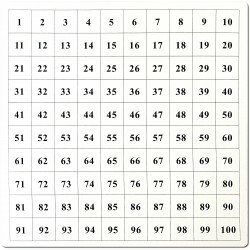 The structured nature of the decimal system can be taught with smaller value digits being laid upon larger ones to make new numbers, e.g. 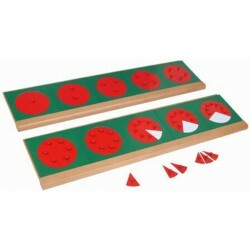 single unit "5" being laid upon "20" to make "25". 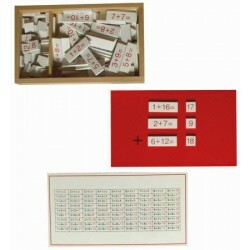 Wooden box and number cards. 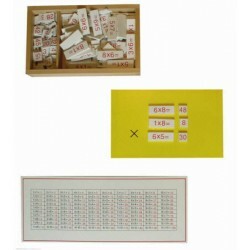 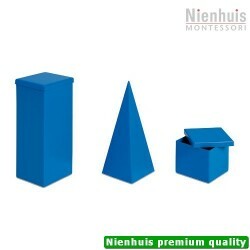 The cards are 3.5cm high and for example the 9000 card is 12cm long.